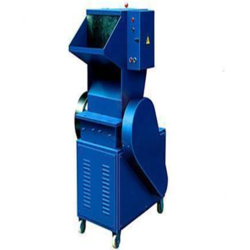 We are engaged in manufacturing and supplying broad range of Plastic Grinders for cutting Plastic Waste. It has higher number of fixed & rotating blade for greater cutting efficiency. The robust construction & sound proof interior make the machine both strong & silent and is available from 5 H.P. 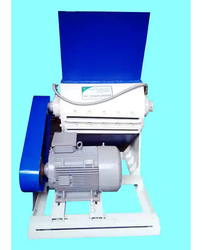 to 30 H. P.
We are manufacturing all type plastic, raffia and pet bottle scrap grinder machine like 10" up to 24"
We have in stock for our customers an array of Plastic Scrap Pulverizer which is extensively used for processing of plastics, chemical material, crude medicines, and many other. Oswal Engineering Corporation supplies Plastic Grinder Machine that are easily portable and can grind variety of polymers like PVC, ABS, PC, PMMA, LDPE, HDPE etc.For more product specifications refer attached pdf. - o Very Low Noise. - o Compact and Ergonomical Design. - o Long Efficient Service Life. Bringing out a extensive range of Grinder / Granulator Machinery. Owed to their conformity with various other national and international quality standards, these are commanded extensively in various market sectors. They are developed in submission with the requirements of the clients.